When you think of health and safety the film, theatre and broadcasting business isn’t the first thing that pops in your head, but with rigging, elaborate film sets and stage productions it is paramount (see what I did there?). How can producers, managers and senior crew members help with Health and Safety? 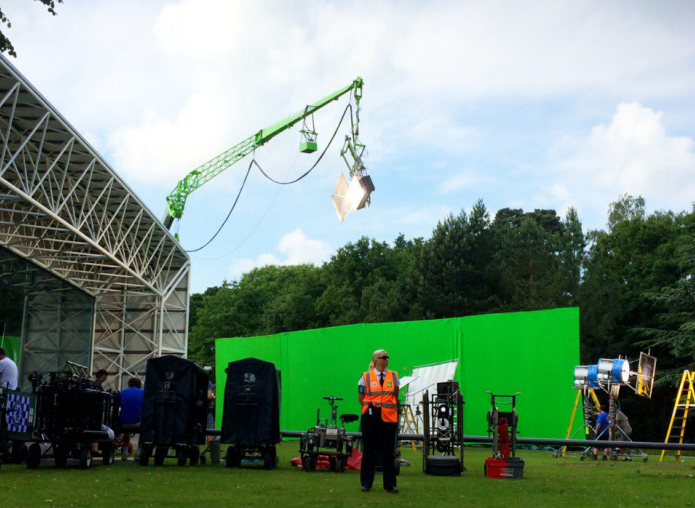 Making sure adequate briefing and training is given at every stage to crew, cast, extras, contractors and visitors means that the production should run smoothly. When working in and around a production or film set each individual, whether it is the cast, the extras or the production crew can take steps to ensure that everything runs smoothly and safely. It is important that the individuals know the processes and who to speak to when they first arrive on set/at the production company. And what can Contractors do to help with Health and Safety within Film, Theatre and Broadcasting? You can find a full and comprehensive list of responsibilities and duties for each party on HSE.gov.uk's pdf of audio-visual production legal duties. The pdf also includes an in depth information on competency, training, and risk assessments. As most accidents in theatre occur from manual handling or working from height this is what we will be address today, but you can find out more about Theatre Health and Safety by visiting the HSE.gov.uk website. Due to the nature of theatre, especially shows that are travelling there is a lot of manual handling. The loads are either heavy, awkwardly shaped or difficult to move in confined spaces which are usual to theatres. When time pressures are added into the equation, it can often lead to mistakes, which can mean injuries and accidents. There are some things to bear in mind with manual handling. Is the weight of the item within your physical capability? Is there enough space to lift and move around safely? If you need a comprehensive guide to manual handling the HSE allow you to download a free copy of their guide. This article is meant as a quick checklist and reminder; you can find a full and comprehensive list of responsibilities and duties for the entertainment industry on HSE.gov.uk's site.